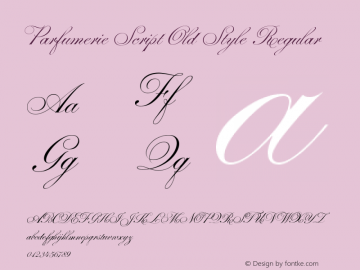 Parfumerie Script Old Style font family series mainly provide Regular and other font styles. Parfumerie Script Ornaments font family series mainly provide Regular and other font styles. 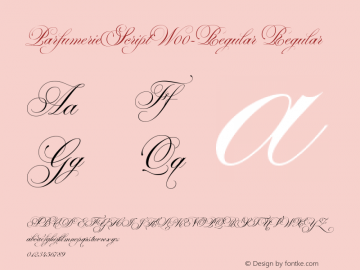 Parfumerie Script Decorative font family series mainly provide Regular and other font styles. 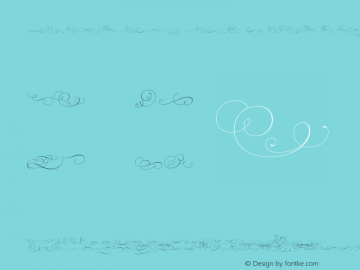 Parfumerie Script Curly font family series mainly provide Regular and other font styles. 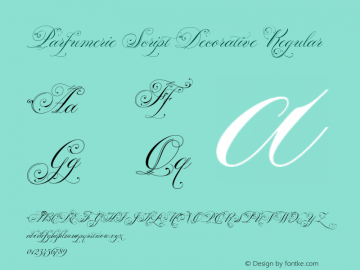 Parfumerie Script Regular font family series mainly provide Regular and other font styles. Parfumerie Script Text font family series mainly provide Regular and other font styles. Parfumerie Script Pro font family series mainly provide Regular and other font styles. 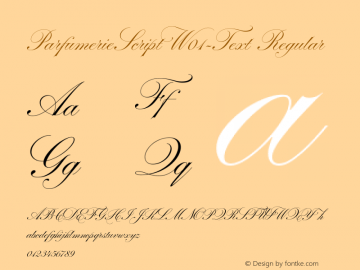 ParfumerieScript-Regular font family series mainly provide Regular and other font styles. ParfumerieScript-Text font family series mainly provide Regular and other font styles. 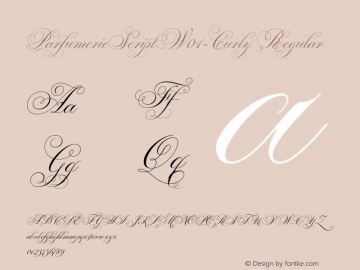 ParfumerieScript-Curly font family series mainly provide Regular and other font styles.